For the men's and women's basketball tournaments that begin this week, the NCAA, for the first time will use a replay system that captures live high-definition video from multiple angles for immediate review. That means officials will be able to see much more quickly, some of the same replays everyone is seeing on TV. And just maybe, some of those delays to get a call right won't be so excruciatingly long. "The last thing you want at the end of the game is a four-minute delay that takes the energy out of the building and cools the players down and all that," said Kim Jackson, director of basketball operations for DVSport, the system's developer. "No. 1, you've got to get the call right, but No. 2, we need to be hopefully as efficient as possible. ... Delaying a game can change momentum and impact the game." No longer will there be extended delays in the tournament because an official has to go to a monitor with only a network feed, put on a headset and try to explain to a producer in the TV truck outside exactly what he or she wants to see a familiar scene in many smaller conferences lucky enough to have a TV feed to rely on. That process usually led to the officials seeing the back of their heads on the monitor while the video was being cued and cameras showed them waiting to see the replay the TV audience had already seen multiple times and was already tweeting or posting Vines about. With the DVSport system already used by several leagues during the season, game officials generally have instant access to the main TV feed and three other angles. They have a pad with a shuttle control that allows them to watch from different angles at different speeds. They can zoom in on individual frames and, if necessary, can then request views additional cameras might have captured. "The most important thing is that we can get all the angles and make sure we see what people see at home on TV. We utilize replay to make sure we got it right," veteran official Joe DeRosa said. "It's really a valuable tool." DeRosa, one of only two officials who has worked both the NCAA Final Four and the NBA Finals, did Big 12 Tournament games last week. His regular-season schedule included games in the Big 12, SEC, American and Conference USA, which also use DVSport. The ACC also uses the system and the Big East men had it available during their tournament last week. "Our officials have the same passion as our coaches they want to make their team play better and make minimum mistakes and continue to improve," said John Underwood, the Big 12 associate commissioner for men's basketball and game management. "They want to get the plays right." DVSport is already well-known to many pro and college sports teams for its custom software packages that allow coaches and players to use iPads or laptops to break down film of themselves or opposing teams. 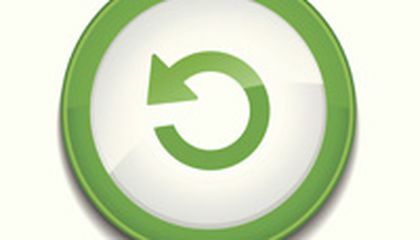 The Pittsburgh-based company got into football replay after the Big Ten had a pilot program and then got NCAA approval on a proposal to allow conferences and independent institutions to experiment with the use of video replay during the 2005 season. Now common in football, a replay system specific to basketball was introduced five years later and is now going to be used in the Big Dance for the first time. Jackson said basketball officials they consulted during development asked for control of the video and standard-sized monitors showing HD video. "Sometimes they would go to one school and they would have a 7-inch monitor that's black and white," he said. "And they're expected to make a decision that affects the outcome of the game and then you have got everybody at home watching it on 50-inch HD TVs." The NCAA will also use DVSport for replays in all Football Championship Subdivision (FCS) playoff games and the semifinal and championship games in Division II and Division III football. Division I basketball tournaments will also debut Precision Timing Systems technology already used by most Division I conferences in which officials stop the clock simply by blowing the whistle. The clock restarts when a switch is flipped on the ref's belt pack. 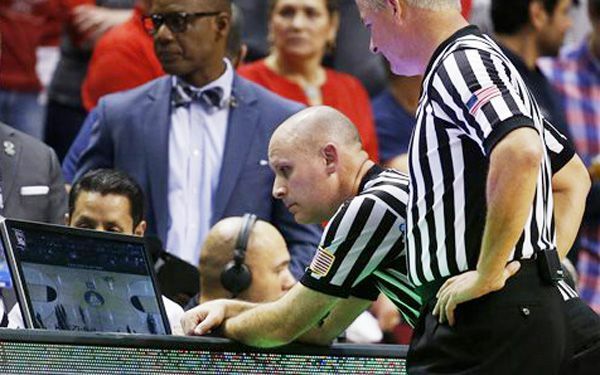 Dan Gavitt, the NCAA's vice president of men's basketball, said the new replay and timing systems "will allow us to use the best available technology to be as accurate as possible with regards to timing and reviewable plays." When viewers see the replay at home before the officials, means that they know if the call was a good callnor not. It will, also make viewers have a biased opinion aboout offcials. WOW! that's will be great having a high def system like that. I wish had a system cool like that i would be on it all day. I think DVsport will help the NCAA Men's Basketball Tournament a lot and won't change the atmosphere of how the game is going. Often times, people watching the game or watching it at home become impatient or angry when the refs are taking a while to make a call. Even sometimes the refs make a bad call because the old technology they used was hard to make a call off of. If the replay shows to viewers at home before the officials it means that they know that it was a good call or not. It may not show before viewers if it isn't a good callout. when viewers at home can see a replay before officials they can see if the call is right or wrong and form an opinion on the play. I think they should of got the sytem for march madness because its a big event and they need it for sketchy fouls and what not . Good going but is this only for the tourney. If the NCAA can pull the money together and get these in many more college stadiums. I think this is a better way and faster way to look at things. And plus you can see from different ways so know if a coach call something. they can assure the review of the play.